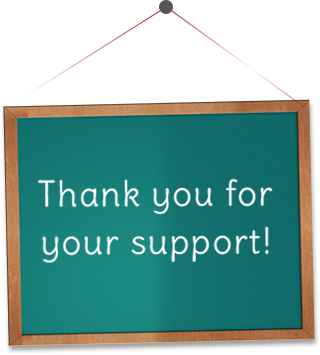 Thank you for your interest in donating to help a child receive the best in a private education. Corporations can make a difference! Please partner with Arizona Tax Credit. Corporate donations for the 2019-2020 school year are now being accepted. Submitting the donation for approval to the Arizona Department of Revenue will take place on July 1, 2019. If you are part of an Arizona-based corporation, consider making a donation to Arizona Tax Credit, a Corporate STO. Scholarship awards from our organization are utilized to help children who are seeking alternatives to the public classroom. A disabled learner will more likely flourish outside of public school, where he or she can learn in a safe, specialized environment, suitable to their needs. Families suffering financial or emotional hardships can also benefit from corporate donations, as they can give their children a better chance to succeed. An Arizona “C” Corporation(A.R.S. § 43-1183)can donate to a corporate School Tuition Organization (STO) (ie: Arizona Tax Credit) designating a particular school. * There is an annual state-wide cap of $89,161,006 that opens on July 1, 2018 for the 2018-2019 school year that is allocated on a first-come-first-serve basis. “C” Corporations can donate up to their state income tax liability for the given tax year as long as it does not exceed the statewide cap for the year. An Arizona “S” Corporation(A.R.S. § 43-1089.04) can donate to a corporate School Tuition Organization (STO) (ie: Arizona Tax Credit) designating a particular school. * There is an annual state-wide cap of $89,161,006 that opens on July 1, 2018 for the 2018-2019 school year that is allocated on a first-come-first-serve basis. “S” Corporations may donate up to their state income tax liability for the given tax year with a minimum donation of $5,000 and then pass the tax credit on to it’s shareholders proportionately. Qualified families apply to the STO for a financial aid scholarship. The STO awards the scholarships and the money is sent directly to the schools. At tax time, the corporation claims the corporate tax credit for the amount contributed. The State of Arizona provides a credit against the corporation’s state taxes for 100% of your contribution. Donating to K-12 private schools can mean dollar-for-dollar returns on your business’s state income or premium taxes. It’s a win-win situation for the families in need, the community and you, the taxpayer. Help inspire a new generation of thinkers, teachers, and leaders by providing them with the specialized education they deserve. Scholarship cap: $5,400 for grades K-8; $6,700 for grades 9-12. The scholarship award amount for the 2018/19 school year can not exceed the tuition cost for that school year. A student attended an Arizona public school as a full-time student for at least 90 days of the prior fiscal year or one full semester and then transferred from the public school to a private school. A student is enrolling in a private school kindergarten. A student is enrolling in a private preschool program for students with disabilities. A student is a dependent of a member of the armed forces of the United States who is stationed in Arizona pursuant to military orders. Received an Original/Individual scholarship or a Switcher/Overflow Plus scholarship in a prior year and the child continued to attend a private school in subsequent years. If you have any questions or concerns please contact us today for assistance!